Fast payouts and player anonymity are key characteristics responsible for Bitcoin gambling’s distinct nature in the iGaming industry. 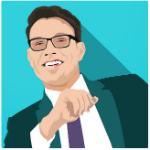 Another is the accessibility players enjoy through the use of cryptocurrencies. This is the exact aspect ShapeShift.io addresses with its continuous efforts to support more digital assets. Already catering to more than 30 cryptocoins, ShapeShift recently added three more to its supported virtual currencies, namely Monacoin (MONA), Vertcoin (VTC), and Infinitecoin (IFC). While this development affects various markets in general, Bitcoin casinos are among the beneficiaries. ShapeShift offers real-time conversion from one cryptocurrency to another, and this is its main selling point. It enables consumers and merchants to quickly exchange their Bitcoin to altcoins and vice versa without having to wait for certain amount of time often experienced in online exchanges. A Bitcoin casino player who holds some LTC can avail themselves of the services offered by ShapeShift and have his LTC quickly converted to BTC. He can then deposit the converted amount to his account and begin to place bets on his favorite Bitcoin casino games. Likewise, casino operators who accept altcoins may have this exchange as one of the options in terms of digital currency conversions. While it should be noted that ShapeShift does not work directly with a Bitcoin casino just yet, it still serves as a viable method for players whose online gambling routine includes wagering both Bitcoin and alternative cryptocurrencies in different casinos. There is no question to the amount of attention given to Bitcoin in terms of iGaming, but the rate at which altcoin gambling grows is not a factor to be dismissed. Dogecoin and Litecoin gambling are two of the most successful niches in cryptocurrency gambling with casinos like Satoshibet, Betcoin Casino, and Casino Evolution accepting DOGE and LTC. Moreover, there is a trend for casinos to cater to more players as what FortuneJack and Crypto-Games.net to name a few are doing. Therefore, the constant addition of cryptocurrencies to ShapeShift’s arsenal is clearly a positive step toward the further expansion of altcoin gambling niche and the Bitcoin ecosystem as a whole. Although Monacoin, Vertcoin, and Infinitecoin are not exactly the names usually heard within the Bitcoin gambling sphere, they still have uses for the avid crypto players since certain websites accept these coins. For instance, Monacoin, which is popular in Asia, can be used side by side Bitcoin to play card games on M2Casino. While player traction seems to be incomparable with the more popular Bitcoin casinos on the market today, M2Casino stands a chance by banking on the potential of Monacoin to become a strong currency in the future. While perhaps not as visible as Monacoin in online gambling, Vertcoin can still be used on 777Casino and was previously supported on the now-closed YBCasino. 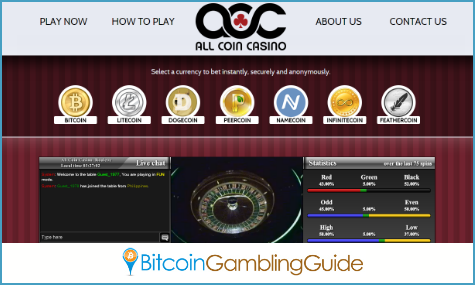 But it could be Infinitecoin that has more footprint on the gambling market as the Dublin-based All Coin Casino lists it as one of the seven accepted cryptocurrencies for its live Bitcoin roulette game. With these remarkable progresses, it is safe to say that ShapeShift promotes altcoin gambling indirectly, and the 34 altcoins in its system are proof enough.